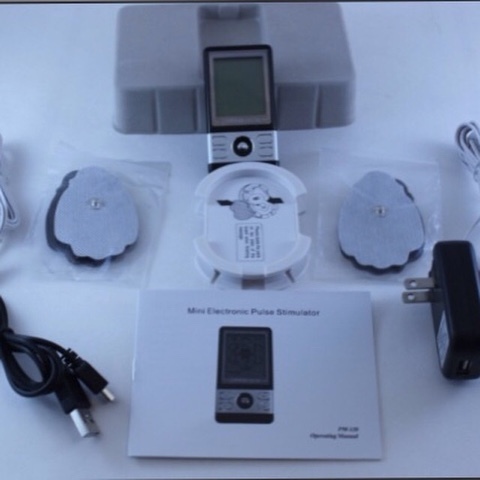 This unit has 6 modes and a rechargeable battery. Six auto modes and a pause button allow you to control what kind of stimulation you want. It has a 10 to 60 minute timer. Auto shut off with a 20 minute default setting. It has adjustable massage strength with gradual increase/decrease options. This device is potable and compact for on the go, travel making it easy to take with you wherever you go. 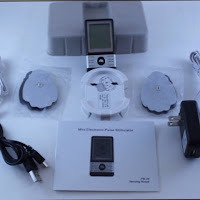 Comes with attachment pads, rechargeable battery and power adapter. My husband was very happy with it. I personally find TENS units irritating to my nerve damage but for regular back pain they are okay.